This Money Machine is completely portable, weighing only 55 lbs. and sets up in minutes. 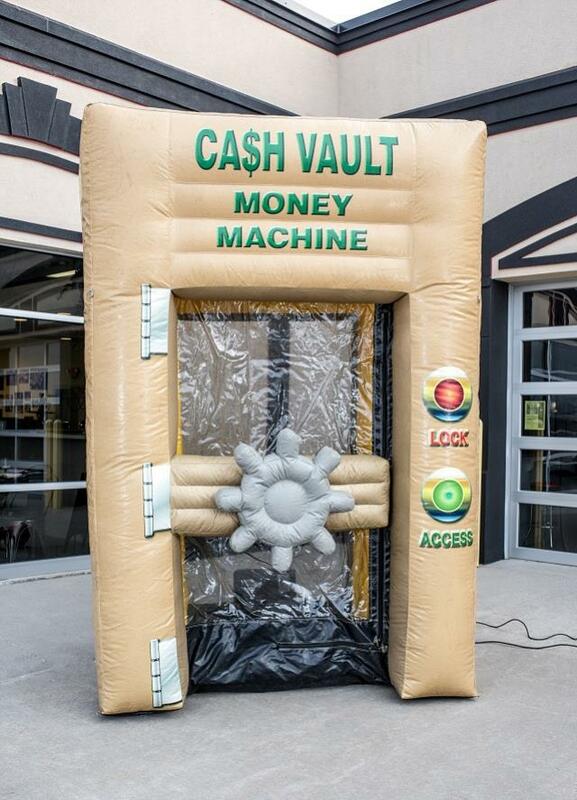 * Please call us with any questions about our inflatable cash vault money machine rentals in Columbia and Jefferson City MO.